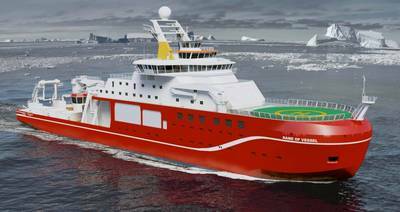 UK's New Polar Research Ship: Boaty Mcboatface? RRS Shackleton, RRS Endeavour, RRS Falcon, RRS Fish ‘N’ Chips and RRS Kanye are just a few of the suggestions submitted in an open campaign to name the U.K.’s next state-of-the-art polar research vessel. But leading the vote is a name that’s even more out of the ordinary: RRS Boaty McBoatface. The U.K.’s Natural Environment Research Council (NERC) last week issued a call for the public to recommend names for the country’s new £200 million polar research ship. The naming contest has drawn a great deal of attention from the Internet, causing the voting site to encounter “technical issues” due to “overwhelming interest,” NERC said. Yet votes have poured in by the thousands, with Boaty McBoatface pulling far ahead with more than 33,600 votes. In second place, with more than 3,000 votes, is RRS Henry Worsley, honoring the British explorer who died attempting the first unaided solo crossing of the Antarctic earlier this year. Other top vote getters, still many thousands of votes behind Boaty McBoatface, include RRS Usain Boat, RRS Thanks for All the Fish, RRS It's Bloody Cold Here and the ingenious RRS Boat. However, despite the public’s rallying for Boaty McBoatface, the vessel’s name will ultimately be chosen by a NERC panel. The new vessel will become one of the world’s most technologically advanced when it sets sail in 2019. To be built by Northwest England’s famed Cammell Laird shipyard, the vessel will replace RRS Ernest Shackleton and RRS James Clark Ross to aid extended scientific research missions in both Antarctica and the Arctic.